Yagai Keiko is outside practice and I live in Ireland so I don't really have that much of choice about the rain. Rain fall in this country is like oxygen, it's a constant. Well that is a slight exaggeration, but for the most part Ireland will have rain daily, or every 2nd day at least with it varying from a light shower to horrific conditions such as Ireland is facing at the moment, with flood water destroying homes and villages alike. But keiko (practice) is keiko and it has to be done. But there are additional reasons to my suffering of the Irish weather. Now I'm no lunatic, nor am I engaged in esoteric practices. I'll put on gloves, wet gear, scarves, the lot - no training in my underwear, barefoot in the snow or under a waterfall anymore. Those were the mad trials of my youth. I'm far more sensible now. But I still train outdoors in the cold and the wet and the rain. Part of studying the Budo, for me at any rate is connecting with my natural environment. Modern life today insulates us from our natural environment. I spend the vast majority of time in the clinic or in my office working away. When I come home, due to my wife's injury I spend most our time indoors (though prior to that we both had a great love of hiking and walking in nature). But such extreme disconnection from our natural environment is unhealthy. And I'm not alone in this. Most of us in the modern world spend too much time indoors and rarely do we expose ourselves to the natural world. The lack of sunlight leads to Vitamin D deficiencies linked to a number of serious illnesses such as Cancer, Diabetes, Multiple Sclerosis, Cystic Fibrosis, Depression and more. In fact, Vitamin D affects the health and function of over 200 genes, including regulating insulin function and testosterone levels. This means that a session of outdoors training means more muscle, less fat and vastly improved health markers. Training outdoors also improves out mental clarity, increases positivity and our overall mindset. May studies have shown outdoors exposure to clean air and sunlight leaves a lasting improvement on mood concentration and cognitive function. In addition it clears stress and improves the quality of our sleep. 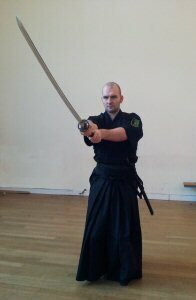 Much of the time spent studying Budo these days is in halls (some even with under floor heating!) on polished wooden floors. 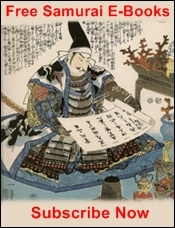 Yet the Budo of old was often done outdoors, under the eaves of a large house, or more commonly in the courtyard of a local temple or a field. Keiko was done outdoors. 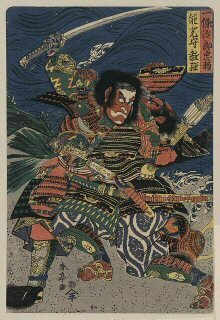 When fighting on a battlefield for instance as many samurai were training to do, it would make sense to train in that environment right? Besides it's far more practical to wield weapons under the cover of the sky than a hall. Far less chance of smashing a light fixture or developing cramped technique. And speaking of technique, nature is an important teacher. 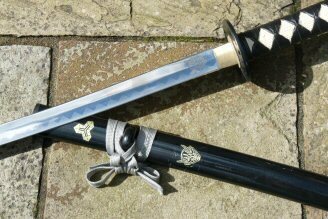 I remember teaching a student the Tachi Uchi no Kurai, the first set of partnered sword forms in the Muso Jikiden Eishin Ryu school of swordsmanship, and the student was puzzled by the walking patterns used and the foot movements. So we left the dojo and went to a local park to train. Immediately the student grasped the importance of the foot work - it was a natural way to walk and move the feet over uneven grass with tree, roots, stones and twigs scattered on the floor. It made no sense in a matted room, but all the sense in the world while traversing the literal field of battle. But it can be more subtle still training in nature. Over the winter holidays I've been diligent in keeping up my own personal training in Iai, Niten and Jodo, and during one very cold morning my fingers became quite sensitive. This in turn allowed me to get insight into the finger mechanics that Oshita Sensei is trying to get into my thick skull. I would not have figured this out had my fingers not been stiff from the cold, and it has reminded me once again of the benefit of outdoors training or Yagai Keiko. And I suspect I am not alone in this opinion. 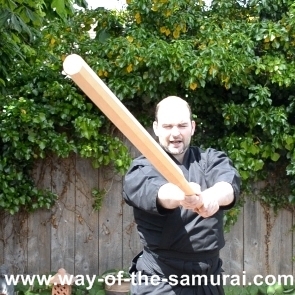 In training in Hyoho Niten Ichi Ryu, under the 12th headmaster Kajiya Takanori Soke, I have noticed that we spend nearly half our training sessions, if not more outdoors. On my 2nd day studying under Kajiya Soke while attending a seminar in Slovenia, Soke announced the afternoon session would be held outdoors in a nearby park. Dressed all in black, the sun in the unclouded blue sky relentless in its oppressive heat was an added opportunity to find focus and strength, and I confess to smiling inwardly as I slowly circled my partner so that the sun was in his eyes. The following year, Soke again, had us spend a lot of time outdoors. This time in a different environment, a gravel floor of a moss covered open air theatre, surrounded by high trees in the beautiful and staggeringly warm Slovakia. 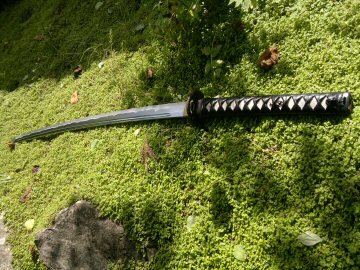 Moving between shade and scuffling over gravel, listening to the soft sway of the leaves and piercing kiai - it was the most at peace I felt all year. It really is indescribable. Once, maybe nothing, twice....I'm definitely thinking Soke wants us training outdoors more. "...rather at the middle of your forehead, knit the brow...make your eyes narrow, make a quiet, calm expression. Straighten your nose line and stick out your chin slightly. 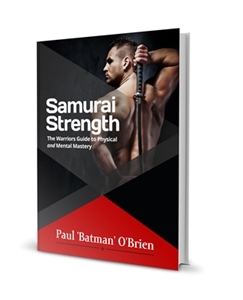 Straighten the back line of your neck, put power at the nape, then put power all over the body from the shoulders and down both shoulders evenly". I end up doing this simply to protect myself from the wind and the rain. But every now and then I catch myself, a moment where my focus has slipped and I think of After the Rain...and that one day, I may be good enough to cut a rain drop. Until then. More focus and more keiko. If you have the chance - step outside the dojo, see how it feels to train with wet sand under your feet, hard earth, crunching gravel, the wind rustling, the sun blinding or cold to your efforts and let me know how you find it.